Want to chill with a Cuba Libre on two oceans in one day? 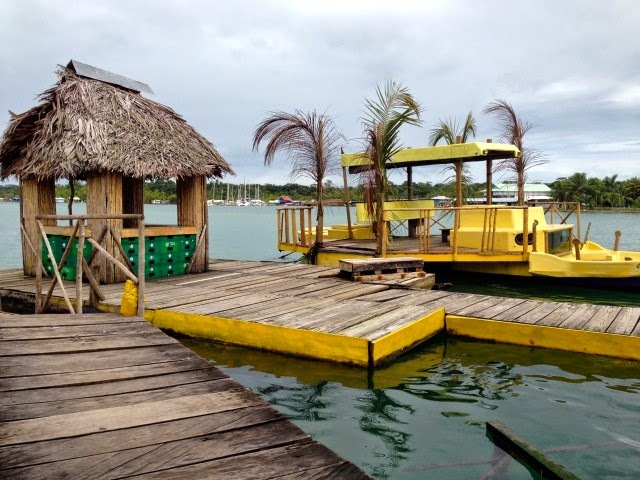 Head for the narrow strip in Central America that links east and west: Panama! Often a popular vacation destination for those wanting to witness amazing feats of engineering (the canal), adventure seekers (jungle treks and canopy tours) and water lovers (scuba diving and surfing), Panama's unique slender shape makes it possible to actually visit two major oceans within just a few hours. The Pacific on the southwest coast and the Caribbean on the northeast are easily accessible thanks to a well-developed highway system that runs from Panama City on the Pacific side to Colón on the Caribbean just 40 miles away. Like much of the region, rum is the go-to liquor of choice here, followed closely by several national beers like Panama, Atlas and Balboa. With a lightly spiced flavor and flexibility to mix with a variety of tastes, rum has a wide appeal. 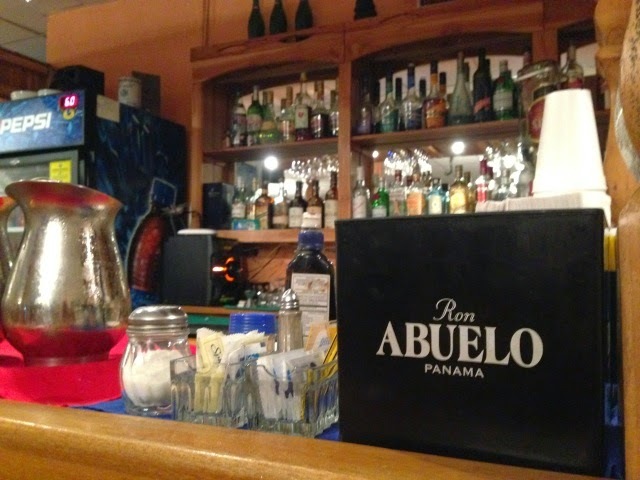 Panama's top rum is Ron Abuelo, widely available at all grocery and mini-super shops. Produced by Varela Hermanos S. A., the first Ron Abuelo rum products were introduced in 1936 and now currently are available in three versions: Añejo (aged), 7 años (7 years) and 12 años (12 years). Prices range from about $7 to $30 for a liter-size bottle and rum-based cocktails like a Piña Colada or Cuba Libre are frequently on happy hour promotion from $2. According to Verla Hermanos, the Añejo version is "richly aged in white oak barrels. Produced from the fermentation of the juice of thousands units of sugarcane, utilizing cutting edge technical procedures and the experience of the rum making tradition in its aging and production. Its unique quality is achieved with time, shadow and silence. Enjoy it alone, on the rocks or with your favorite mixer." Moving up to the 7 años variety, the distillery describes it as "produced from the fermentation of sugarcane juice, aged for 7 years in small barrels made with white oak, carefully selected for this product. Under the tropical heat and the strict supervision of a master rum maker this rum develops a refined aroma and an exquisite taste over the years." The Ron Abuelo 12 años is listed as "the great reserve of the house, reflecting a passion for producing the best aged rum. Sublime distillation, the best selection of white oak barrels and the passing of time under the tropical heat have resulted in this extraordinary product. Its character, softness and complexity will give satisfaction to the most sophisticated and challenging palate." 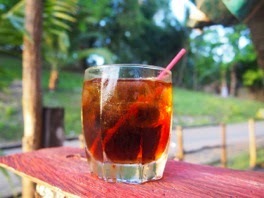 Perfect for chilling out after a busy day exploring Panama's diverse geographic zones or just lazing on one of the country's many beaches, do like the locals do and grab some rum, ice and your favorite mixer and enjoy! Contributor Aimee Cebulski has been furiously catching up on lost time as a traveler after a five-year battle with fear of flying grounded her dreams of visiting far-flung destinations in her mid-20s. Now, she’s proud to have 52 stamps in her passport and considers each new one a triumph over fear. She’s worked as a freelance writer and photographer for almost 15 years and currently calls San Diego, California home. Her work has been featured in a number of travel, business and lifestyle magazines, websites and photo galleries. She recently combined her love of travel, new cultures and writing with the release of The Finding 40 Project, a book about women turning 40-years-old around the world.